Completely redesigned for the 2014 model year and updated with the brand’s now-trademark diamond pentagon grille and 10-unit Jewel Eye LED headlamps in 2017, the 2019 Acura MDX adds a sporty A-Spec variant to its lineup. 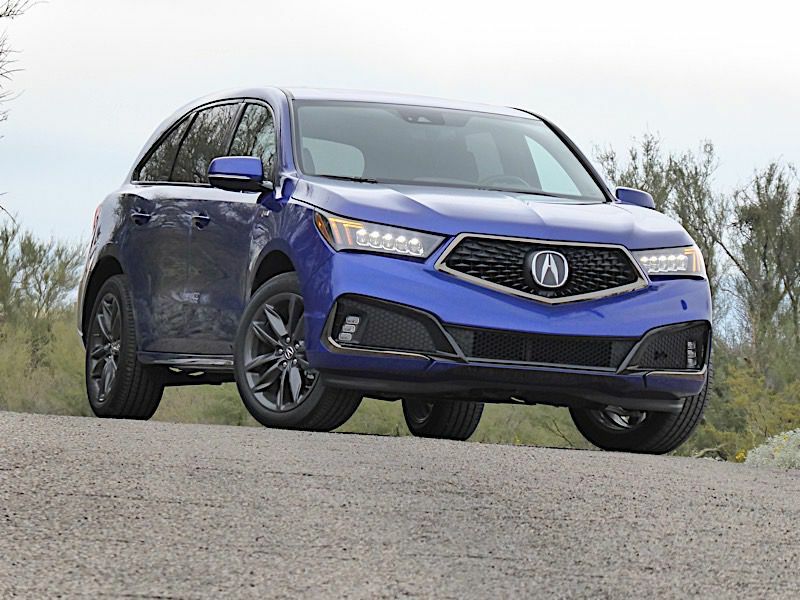 Even though the MDX’s bones are now a half-decade old, the A-Spec appearance package adds a sporty look to what already is a dynamically pleasing driver’s vehicle that holds up well to entries from Audi, BMW, and Mercedes-Benz costing many thousands of dollars more. Shown here in A-Spec exclusive Blue Pearl paint, the A-Spec features exterior bling that includes dark chrome and gloss-black trim for the grille, headlamps, tailgate spoiler, and window surrounds; deeper, more-aggressive looking fascias; body-color side-sill extensions, larger exhaust outlets, and wider 20-inch Shark Gray alloy wheels. Including the $995 destination charge, the 2019 version of Acura’s top-selling luxury three-row SUV starts at $45,295. All-wheel drive costs $2,000 more. The subject of this review, the MDX A-Spec with all-wheel drive, costs $54,800. There is also an MDX Sport Hybrid model that costs $53,795. The MDX has great response throughout the engine speed range and makes enthusiastic sounds when you step into the throttle. 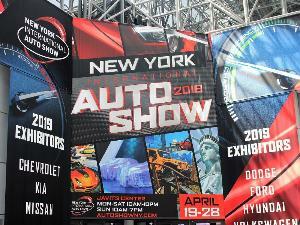 Power comes from a 3.5-liter V6 rated at 290 horsepower and 267 lb-ft of torque, which also features direct injection and i-VTEC (Acura-ese for intelligent variable valve timing and lift with electronic control). There is no turbocharger to spool up, just satisfying acceleration whenever the driver wants it. The MDX can scoot from zero to 60 mph in just over 6 seconds. Meanwhile, variable cylinder management seamlessly cuts out three of the engine’s six cylinders when cruising under low engine loads to save fuel. 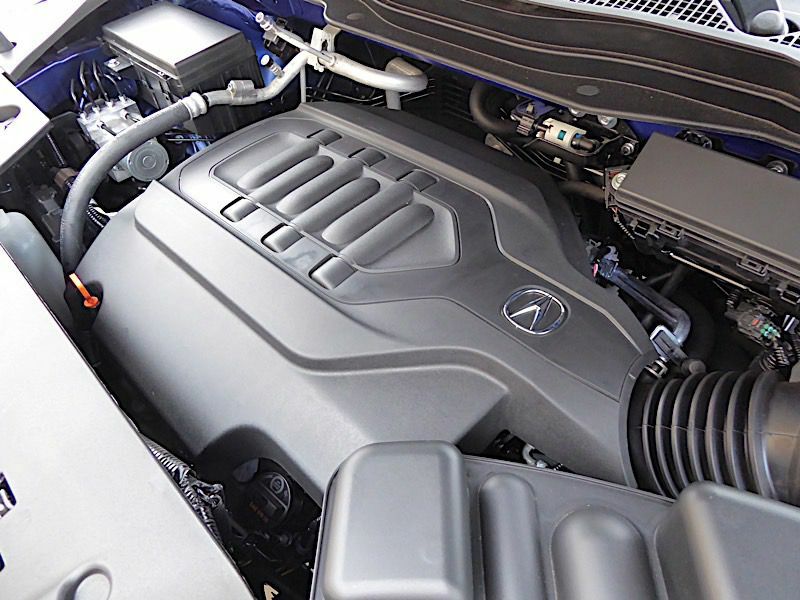 A stop/start feature can automatically shut off the engine at idle, and Acura updated the system for 2019 to provide a smoother restart when the driver takes a foot off the brake. EPA estimates are 20 mpg in the city, 27 mpg on the highway, and 23 mpg combined for the front-drive MDX, while most all-wheel drive models achieve 1 mpg less. 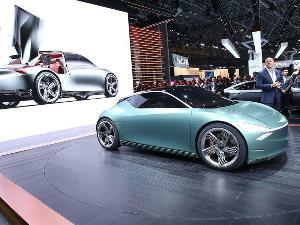 The A-Spec, which has more aggressive tires, slips a bit further to 19 mpg city/25 mpg highway/21 mpg combined. All models use premium fuel. One feature that separates the MDX from most other SUVs are the console-mounted shift buttons for its excellent nine-speed automatic transmission. There is no conventional PRNDL shift handle that moves fore and aft. The buttons take up about the same amount of surface area on the console as a conventional shifter would, but this layout allows a clear line of sight to switches and controls at the bottom center of the dashboard and storage areas at the forward end of the center console. The buttons take some time to learn and require some eyes-off-the-road time to learn, but operation becomes easier with practice. 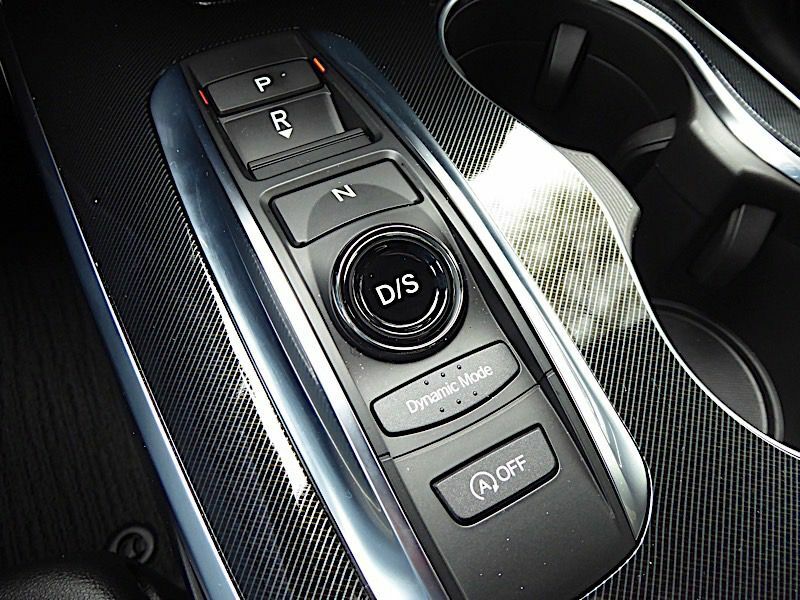 Push the D button twice and the transmission enters Sport mode, which changes the shift map to keep the transmission in the lower gears longer and keeps the engine rpm higher for sportier performance. The driver can also use the steering-wheel-mounted shift paddles to upshift and downshift manually. The transmission starts out in second gear in relaxed driving to save fuel, using first only when the driver pushes the accelerator harder or selects Sport mode. The beauty of the MDX is its near-perfect blend of luxury and sporty performance. Even in base trim, the MDX’s four-wheel independent suspension’s amplitude-reactive shocks keep it calm and composed regardless of road surface. The electric variable-assist power steering is nicely weighted on-center, conveys useful road feel and reacts with precision. The A-Spec version wears extra-wide, low-profile 265/45R20 performance all-season tires for extra grip and even sharper steering turn-in, but even with the base model’s 245/60R18 tires, the MDX can carve corners with confidence. The torque-vectoring Super Handling All-Wheel Drive (SH-AWD) system, available on all MDXs and standard on the A-Spec, not only aids traction in wintery weather and other low-traction conditions but also boosts dry-road handling. 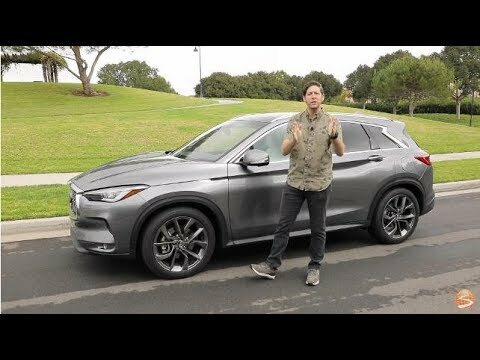 The system can send up to 70 percent of engine torque to the rear wheels, and can distribute 100 percent of that to either rear wheel to aid traction or reduce understeer while cornering. The Advance package also features adaptive shocks that adjust damping in real time for varying road surfaces. While it's beginning to show its age relative to newer competitors, the MDX coddles the luxury vehicle buyer. All models come with standard tri-zone automatic air conditioning, a tilt-and-slide moonroof, keyless access, push-button start, a power tilt/telescopic steering column, leather upholstery, automatic high beams, a HomeLink garage-door opener, and heated power front seats with adjustable lumbar that are both all-day comfortable and supportive. An acoustic windshield and front-door glass plus active sound control that uses the audio speakers to cancel unwanted low-frequency sounds when cruising keep the cabin quiet and conversation-friendly. 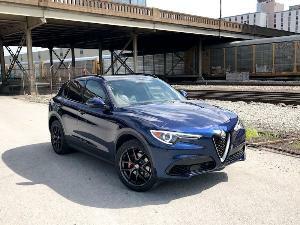 The A-Spec trim adds even more supportive sport front buckets, plus upgraded leather-and-suede seat and door trim, a black headliner, stainless-steel pedals, red ambient lighting, and metallic trim accents. 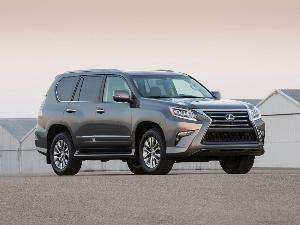 Included with the optional Advance package are a heated steering wheel and heated and ventilated front seats. 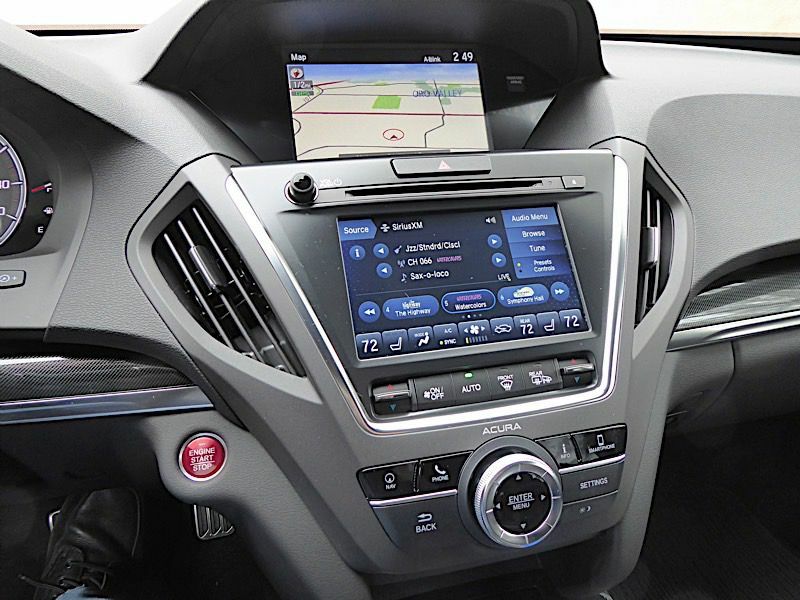 Acura is a little different from most automakers in that it offers two separate dashboard center displays. The two screens are stacked vertically; there’s an 8-inch color audio/information touchscreen down below and a 7-inch On-Demand Multi-Use display up top. Some may think this makes the instrument panel too busy, but the beauty of the two screens is being able to have the navigation system up and running on the smaller upper screen, and keeping audio and climate control settings active on the larger lower screen. In SUVs with just a single monitor, that would involve doing a split screen with navigation on one side and everything else on the other or toggling through menus. Using the newly standard Apple CarPlay and Android Auto smartphone integration (operated by the dash-mounted infotainment dial controller), drivers can sync the upper screen to their phone. An eight-speaker AM/FM audio system with SiriusXM, SMS and MMS text and email message capability, Siri Eyes Free, Pandora compatibility, USB and MP3 jacks, and Bluetooth cellphone interface and streaming audio is standard fare. Buyers can opt up to three different Acura/ELS Studio premium audio systems with up to 12 speakers. Nearly as comfortable as the front buckets are the MDX’s rear accommodations. The base seat is a folding 60/40 split bench that reclines and slides fore and aft to suit varying passenger or cargo needs. Heated outboard seating positions for the bench seat and individual second-row captain’s chairs are available with the Technology and Advance packages for a six-passenger passenger configuration. Also available for second-row inhabitants is an HDMI-compatible DVD rear entertainment system with an ultra-wide 16.2-inch high-definition VGA screen. As with many mid-size crossover SUVs featuring three rows of seats, the MDX’s rearmost chairs are not really meant for extended adult habitation. The chair height is low, headroom is crimped, and legroom is poor unless the second-row seats are moved as far forward as they can go. The MDX’s third row is a bit roomier than that offered in some competitors, but it’s no Chevrolet Suburban. If you need to carry seven or more adults on a regular basis, get a minivan like Honda’s own excellent Odyssey. Accessed via a power-operated liftgate, the MDX's cargo hold offers a surprising amount of useful space. 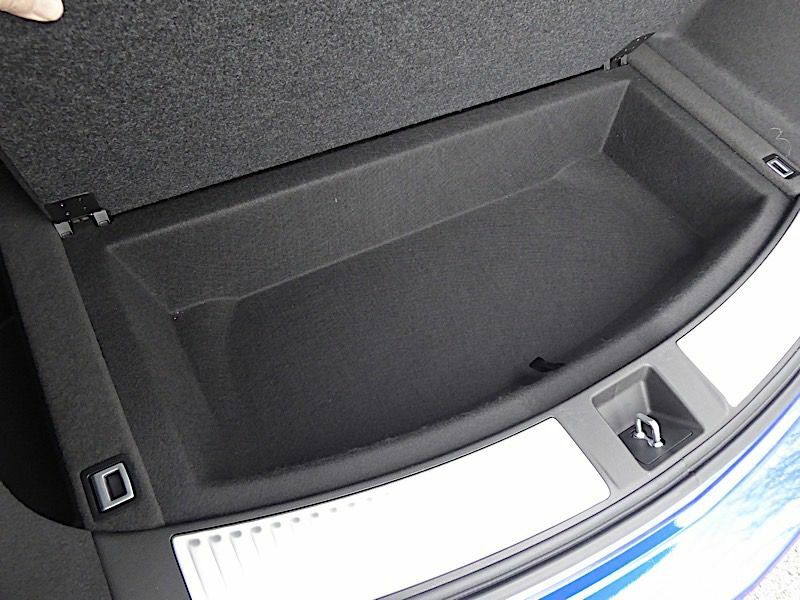 There’s a big concealed storage bin under the rear cargo floor, which would be suitable for multiple laptop bags, cameras, or purses, or potentially even a reasonably sized roller bag that would fit in an aircraft overhead compartment. The second- and third-row seats fold flat and are split to allow longer items to be carried while still seating a passenger or two back there. 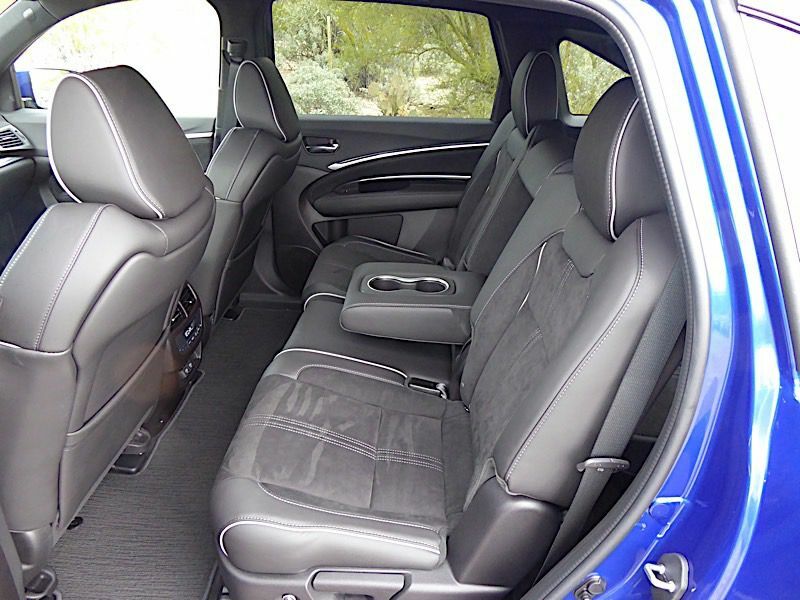 By the numbers, the MDX cargo hold can handle 15.0 cubic feet behind the third row, 38.4 cubic feet with the third-row seat folded flat, and 68.4 cubic feet with the second- and third-row seats folded down. SUVs are often pressed into family duty, so Acura makes most of its safety equipment standard on the MDX. 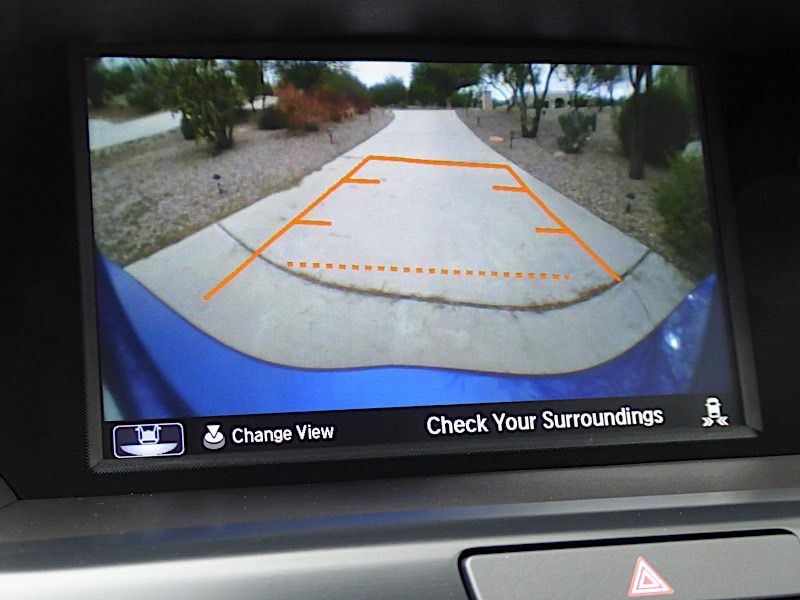 Alon with a full array of airbags, standard fare includes a multi-angle rearview camera with an available 360-degree Surround View camera that adds an overhead view of the MDX and its immediate surroundings stitched together from four cameras — one on each side mirror and one each at the front and rear of the vehicle. Also standard on every 2019 MDX is the AcuraWatch suite of driver-assist and safety systems. 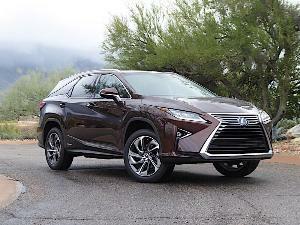 This includes a forward collision warning with collision-mitigating braking (if the driver doesn’t brake once warned, the MDX will), lane keeping assist, a lane-departure warning with road-departure mitigation, and adaptive cruise control with low-speed follow. Blind-spot and rear cross-traffic monitoring come with the A-Spec, Advance, and Technology packages. The 2019 MDX received a five-star safety rating overall from the National Highway Traffic Safety Administration, the Insurance Institute for Highway Safety named it an IIHS Top Safety Pick for 2018. 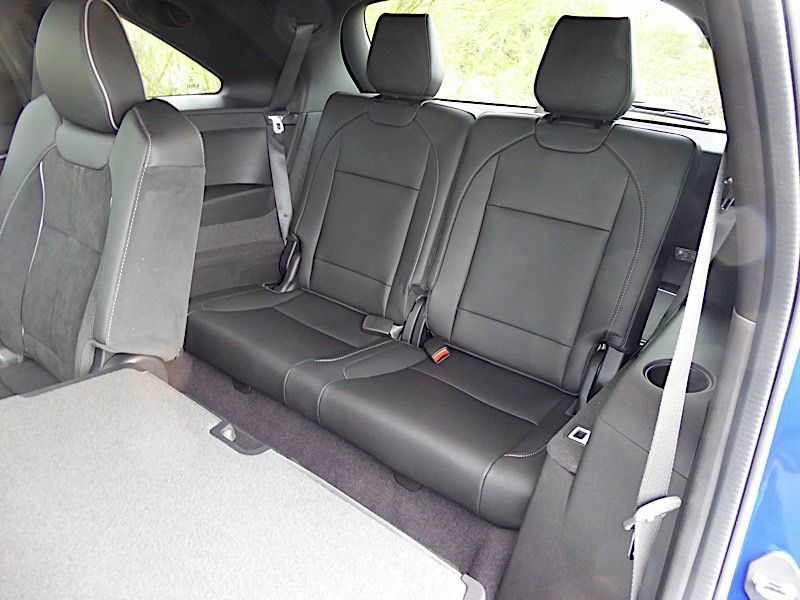 The MDX doubles as a roomy family hauler and a fun-to-drive sport sedan surrogate when called upon. It’s packed with a lot of standard equipment including a lively V6, Super Handling All-Wheel Drive, and Apple CarPlay and Android Auto that makes it a good value proposition compared to many European-brand competitors. 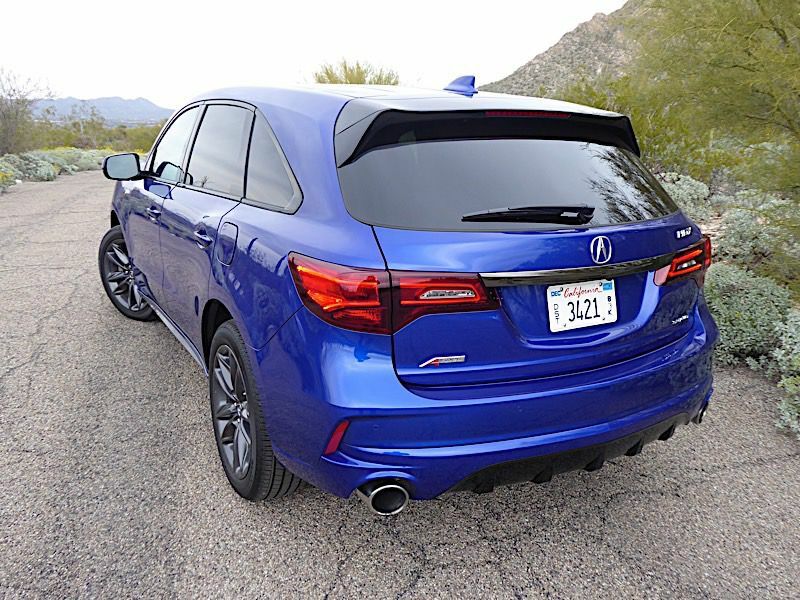 And in the A-Spec trim just added this year, the 2019 Acura MDX is looking a smidge more aspirational.